Small arms and light weapons control; conflict-sensitive approaches, risk and security analysis, arms trade, pastoralism and natural resource management. 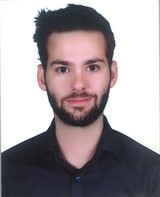 Matthias studied Political Science at the University of Bremen and International Studies / Peace and Conflict Research at the Goethe University Frankfurt/ Technical University Darmstadt, Germany, focussing on the crossroads between arms imports and the onset of civil wars in Sub-Saharan Africa. Before joining BICC, Matthias worked as a consultant for different programmes of the German development cooperation in Ethiopia. Currently, Matthias is the seconded SALW Control Advisor to the African Union Defence and Security Division.